Posted on November 25, 2017 by Barbara H.
Doing Spiritual Warfare Without All the Weirdness, HT to Challies. Dear Mormon – I Can’t Call You a Brother in Christ, HT to Challies. A Beautiful Table and a Bitter Heart, HT to Challies. Good not just for Thanksgiving! Dr. Martyn Lloyd-Jones on Obsession With Polemics, HT to Challies. It’s necessary but shouldn’t be the main thing. Some helpful considerations. Which Are Better: Old Books or New? The Last of the Iron Lungs, HT to Challies. A handful of people with polio still rely on them, but they’re not sold or maintained by the the manufacturers any more. Fascinating article. And, though this is not the main point of it, I was inspired by those who are trying to make the best of their circumstances, like the man who took his iron lung to college, practiced law for the few hours a day he could go without the iron lung, until he started needing it almost 100%. Now he’s writing his memoirs while encased in it. 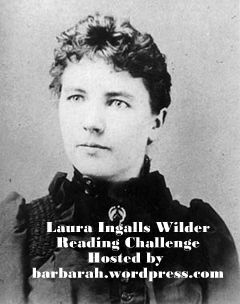 I don’t mean to toot my own horn, but in case you missed it, I announced the Laura Ingalls Wilder Reading Challenge for February 2018 and included a long list of related books to consider for those who might want to read beyond just the Little House series. Finally, I didn’t listen to all this, but overheard a good bit while hubby was listening. Press Secretary Sarah Sanders began the last press briefing before Thanksgiving asking the reporters to share something they were thankful for before asking their questions. What we found amazing was the way they whole atmosphere changed by doing that, from confrontational and adversarial to convivial! Happy Saturday! It’s Christmas decoration day for us! 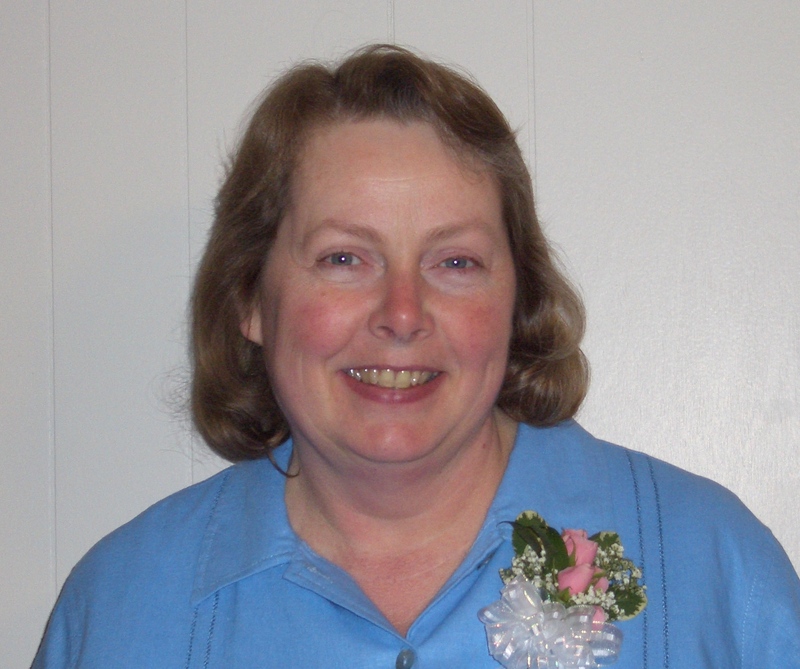 Posted on June 25, 2016 by Barbara H.
Two Methods of Bible Study. Do you ever struggle with whether to read larger portions of the Bible or to camp out deeply in smaller passages? Both are needed, and this is the best explanation of the two methods I’ve seen. The Value of Children. Love this. Great insight. Afraid of the Unknown. Yes, I tend to be, and this was very helpful. When My Work Is Marginalized, Unappreciated, or Belittled. Today Is Not a DIY Project. Laser Rays…and Moonbeams. Lovely piece on the power of words to tear down and build up, beautifully written. His Wife, Not His Mother and Part 2: Practical Tips: Learning How To Be His Wife, Not His Mother. How to Write Without Sounding Preachy. Are We Responsible for God’s Reputation? Posted on January 15, 2015 by Barbara H.
One of the things writing does for me is to help me think things through in ways that I can’t always do mentally. With writing I can take each strand of swirling thoughts, lay it out in black and white, follow it through to completion, go on to another, put them all together in some order, and then stand back and take a look at them. When I try to do that without writing them down, they just continue to swirl, and I can only think about one part for a brief time. Something that’s been on the back of my mind for months is an offhand statement I saw on someone’s blog. When I go to a new blog, if what I see there interests me, I often will check out the “About Me” section to find out a little more about the person, to get more of an idea of who it is I am reading about. A part of what this particular blogger wanted people to know about her was that she was taught in her church and youth group to keep certain standards in order to maintain a good testimony before others, so people would think well of her God by what they saw her do; but as she got older she felt that many of those standards went beyond the parameter of what she was called to do, and furthermore, she felt that she was not responsible for God’s reputation, that He was big enough to take care of that on His own. She wasn’t advocating a total overthrow of any standards at all, but she was refusing to place them on that level on importance. Now, I agree with this young woman that some people go beyond what the Bible actually teaches or implies in their standards, and that some place their standards almost on par with the ten commandments and look quite condescendingly at anyone who practices something different than they do, and that both of those approaches are wrong. What I mean by standards are the practical ways people work out their beliefs and convictions that may vary from person to person (Romans 14) as opposed to the bedrock doctrinal truth that there can be no variations on. But what really stood out to me and has had me pondering these many months is the thought that we are not responsible for God’s reputation. Is that true? First my mind went back to verses in the New Testament about doing or not doing things so that God’s Word is not blasphemed. For instance in Titus 2:3-5, older godly women are instructed to teach younger women in a variety of areas – soberness (self-control in the ESV), loving husband and children, being “discreet, chaste, keepers at home, good, obedient to their own husbands,” so that “the word of God be not blasphemed” (reviled in the ESV). The word of God can be blasphemed when I am indiscreet, lacking in self-control, or unloving to my family? Apparently so. “Then the Egyptians will hear of it, for you brought up this people in your might from among them, and they will tell the inhabitants of this land. They have heard that you, O Lord, are in the midst of this people. For you, O Lord, are seen face to face, and your cloud stands over them and you go before them, in a pillar of cloud by day and in a pillar of fire by night. Now if you kill this people as one man, then the nations who have heard your fame will say, ‘It is because the Lord was not able to bring this people into the land that he swore to give to them that he has killed them in the wilderness.’” (Numbers 14:13-16). On the other hand, sometimes God does call someone to do something that seems harmful to their reputation, and to His. Mary’s reputation suffered as well as Jesus’s by the virgin birth, but it suffered in the eyes of people who didn’t believe it, and someday it will be vindicated. There are actions of God, or sometimes what seems to be a lack of action, that cause some to call Him unfair. But off the top of my head, areas in which people criticize God come down to problems on our end of things, not His. We don’t see the big picture or understand all His purposes and lack faith in His character, His wisdom, His love, etc. He is willing to risk being misunderstood to do what is right and necessary in any given situation and He wants us to know Him and trust Him even when everything doesn’t make sense to us. When Jesus lived on the earth, He “made Himself of no reputation” and “though he was in the form of God, did not count equality with God a thing to be grasped.” He did defend and explain His Father and even His own actions sometimes, but He wasn’t grasping after His rights or His “place” as the Son of God. It is a misguided attempt to defend God’s reputation that sometimes earns Christians and the God they think they are representing a bad reputation. In almost any online forum, when a non-Christian makes a disparaging remark about God or the Bible or Christianity, you can count on some Christian leaping to God’s defense. That is not a bad thing in itself, but it can be if it is done harshly or condescendingly. Just this morning I came across a blog post about why Christians don’t seek to avenge insults against God: He Himself showed people grace in their ignorance and unbelief when He died for them on the cross, and in His love and longsuffering He waits and draws them to Himself. He wants us to show that same grace, love, kindness, and longsuffering. Of course we can and should soak ourselves in His Word and attempt to explain or put things into perspective for others and ask God to make it plain to them. Jude 3 speaks of “earnestly contending for the faith,” and I Peter 3: 14b-16 says, “But even if you should suffer for righteousness’ sake, you will be blessed. Have no fear of them, nor be troubled, but in your hearts honor Christ the Lord as holy, always being prepared to make a defense to anyone who asks you for a reason for the hope that is in you; yet do it with gentleness and respect, having a good conscience, so that, when you are slandered, those who revile your good behavior in Christ may be put to shame.” That’s quite a different stance than “pouncing” on someone for saying something out of line with the Bible. 1. Yes, God can take care of His own reputation. He is willing to be misunderstood in the short term, but some day everything will be set to rights and people will see and know Him for who He really is. 2. We can and should contend for the faith and have a reason for the hope that lies within us, but we should be gracious and respectful about it. 3. We do represent God both to other Christians and to unbelievers and we do need to be aware that our actions and attitudes reflect on Him favorably or unfavorably. This requires an important shift. We need to stop asking, “How can we get our girls to dress modestly?” and start asking, “How can we get our girls to be passionate students of God’s Word?” Hebrews 4:12 tells us that God’s Word works like a sword, surgically removing those parts of our hearts that don’t line up with the holiness of God. Which would you prefer? A girl who covers up out of obligation, or a girl who chooses to change because of God’s work in her through His Word? Now, when it comes to immodesty, especially with three sons, my first instinct would be to say, “Let’s cover up first, even if it is out of obligation, and then we’ll study the reason for it.” 🙂 There may be times for that kind of an approach: as a parent, often you have to require certain actions and standards for your children even if they don’t understand the reasons behind them. But the motivation, the overarching focus should be love for God and living for Him and what pleases Him and brings Him glory. It should be that inner love that works itself out into our everyday actions. In one biography I read years ago, a young person had grown up with certain standards against “worldliness” which she then joyfully jumped into when she turned away from God for a time. But once she came to truly know Him, the more she grew in her knowledge of Him and love for Him, the more those things just fell away on their own. From a writerly point of view, I should probably let this sit a few more days and tighten, organize, and “polish” it better. But I am going to let it stand as a “thinking through my fingers” post. What are your thoughts about our responsibility for God’s reputation? Posted on October 29, 2014 by Barbara H.
Posted on June 10, 2014 by Barbara H.
If you have said or written this, please don’t take offense or think I am fussing at you. I can’t remember for sure where all I have seen it. I’m speaking in generalities because I am starting to see this more and more and I want people to realize what it sounds like. It bothers me for a few reasons. 2. Making our plans and then hoping God “shows up” is going about things backwardly. We should be seeking His guidance beforehand and all along the way. 4. The phrase also seems to indicate the person showing up took the invitation casually and just decided to “show up” — maybe on a whim, maybe because he couldn’t find any better options. 5. When I posted this the first time, someone commented that sometimes we say God “showed up” in a meeting when things got exciting. Sometimes we have more of a sense of His working or we’re touched in a special way, but that’s not to say He is not always meeting with us. Jesus said, “Where two or three are gathered together in my name, there am I in the midst of them” (Matthew 18:20). We know He is present by faith, not when we “feel” it or when the bells and whistles go off. Why not say it that way? It’s more accurate, more reverential, and more glorifying to God. “Help me, O LORD my God: O save me according to thy mercy:That they may know that this is thy hand; that thou, LORD, hast done it.” Psalm 109:26-27. “O God, thou art my God; early will I seek thee: my soul thirsteth for thee, my flesh longeth for thee in a dry and thirsty land, where no water is; To see thy power and thy glory, so as I have seen thee in the sanctuary.” Psalm 63:1-2. “Jesus answered, Neither hath this man sinned, nor his parents: but that the works of God should be made manifest in him.” John 9:3. “And [Moses] said, I beseech thee, shew me thy glory.” Exodus 33:18. “That all the people of the earth might know the hand of the LORD, that it is mighty: that ye might fear the LORD your God for ever.” Joshua 4:24. “And it came to pass at the time of the offering of the evening sacrifice, that Elijah the prophet came near, and said, LORD God of Abraham, Isaac, and of Israel, let it be known this day that thou art God in Israel, and that I am thy servant, and that I have done all these things at thy word.Hear me, O LORD, hear me, that this people may know that thou art the LORD God, and that thou hast turned their heart back again.” I Kings 18:36-37. Posted on May 7, 2014 by Barbara H.
I first picked up The Great Divorce by C. S. Lewis some years ago when I found it on sale in a bookstore. I wasn’t sure what kind of divorce the title was talking about, and the description on the front about a bus ride from hell to heaven seemed really weird, but it was Lewis and it was on sale, so I got it. But it sat around for all these years unopened. The TBR challenge of reading things that have been unread on our shelves spurred me to work this book in this year. Lewis explains in the preface that the title and concept came in response to William Blake’s book The Marriage of Heaven and Hell. Lewis explains that there can be no such marriage. To illustrate some of those fork-in-the-road choices as well as the opposite directions of heaven and hell, Lewis developed this fantasy of a group of people on a bus ride from hell to visit heaven. When they arrive, they are surprised to find that they are transparent and that contact with solid objects is painful (“It will hurt at first, until your feet are hardened. Reality is harsh to the feet of shadows.”) They are called ghosts, whereas the inhabitants who come to meet them are called Solid People or Spirits. Most of the people decide not to stay for various reasons, despite the Spirits encouraging them to put away whatever is holding them back and enter into joy. Lewis, or the narrator, finds George MacDonald, someone he has greatly looked up to and learned from, who then becomes a guide and teacher for him, similar to Dante and Virgil in The Divine Comedy. Lewis assures in the preface that he is not writing to propose anything about what heaven might be like: he is simply using this scenario as a vehicle to discuss truths. 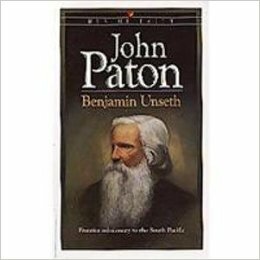 There are a few similar themes as are found in The Last Battle, the last book in the Narnia series written about 10-11 years later: the idea of moving “further up and further in” and the effusive joy of heaven. I don’t know if Lewis believed in a purgatory or if he was just using the idea of the dead getting “second chances” to illustrate that many of them would not take it. The Bible says in Hebrews 9:27 that “it is appointed for man to die once, and after that comes judgment,” so I would have a problem with this book promoting the idea of purgatory, but I think the whole second chance scenario is just part of the plot device. One character in the book says, “Hell is a state of mind – ye never said a truer word. And every state of mind, left to itself, every shutting up of the creature within the dungeon of its own mind – is, in the end, Hell. But Heaven is not a state of mind. Heaven is reality itself. All that is fully real is Heavenly. For all that can be shaken will be shaken and only the unshakeable remains.” Again, I don’t know if the idea of hell being just a state of mind was part of Lewis’s own philosophy or if it was just the nature of it in this as a fantasy, but the Bible does speak of hell with literal terminology. Overall this was quite a fascinating and thought-provoking read. Posted on September 14, 2013 by Barbara H.
Two pieces on the historicity of the first Adam, a current hot topic: Our Make-Believe Parents: When Adam Becomes More Fiction Than Fact and 19 Resources on the Historicity of Adam. Savor “Every” Moment? This humorous piece reminds us that young moms in the trenches need more from us than the admonition to savor every moment because it all passes so quickly. They need to know we remember the trenches and survived them. How to Criticize a Preacher. Distinguishing Between Truth and the Bearer of Truth. This kind of goes along with the one above. I’ve had a possible blog post percolating in the back of my mind along these lines, but no time to write it out. A Concerned Mother’s Letter to Teen-age Girls. Can Oyster, the “Netflix For Books,” Be Successful?